New patients will be greeted by Gloria, our New Patient Coordinator. She will walk you through your initial appointment, which will vary based on your specific needs. We love getting to know our patients and can’t wait to get to know you and your family! Our goal is to ensure every patient who comes through our doors has a pleasant and relaxing experience. We offer amenities such as massage chairs, hot towels, tv, and a full beverage bar to ensure all our patients, new and returning, have the best dental experience around. Ready to learn why our patients actually look forward to coming to the dentist? 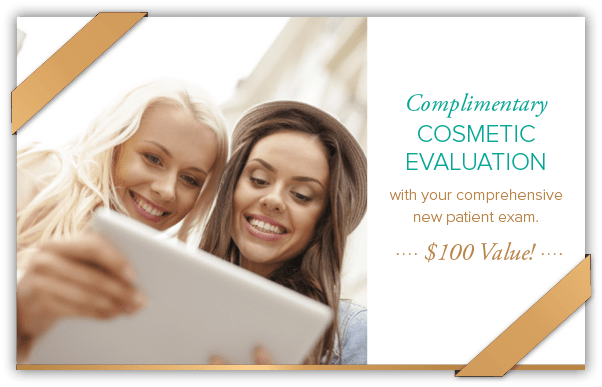 Read our patient testimonials to find out more! ‘‘By far, the best dentist I have ever been to. The office is nice and has a great vibe. The staff are friendly, helpful, and completely on their game." Q. Are you currently accepting new patients? Q. How much will my initial visit cost? A. Many insurance plans will cover this in full. Once we have your insurance information, we can give you an estimate. A. We work with CareCredit to ensure all patients can receive the care they need. We also accept cash, check, and all major credit cards. Our team is here to help guide you through every aspect of your dental experience including insurance and financial information. Save time in the waiting room! We know you’re busy, so before your first appointment, print and complete our new patient forms at your convenience. Then you can enjoy catching up with our friendly staff and enjoying our waiting room amenities before your appointment. We contact your insurance company and electronically submit all claims. You will not have to do any paperwork. We verify all levels of coverage and benefits. We accept all major credit cards, checks, cash, and CareCredit. Your payments are due at the time of your appointment. Do you have a question about your dental insurance? Let us know.